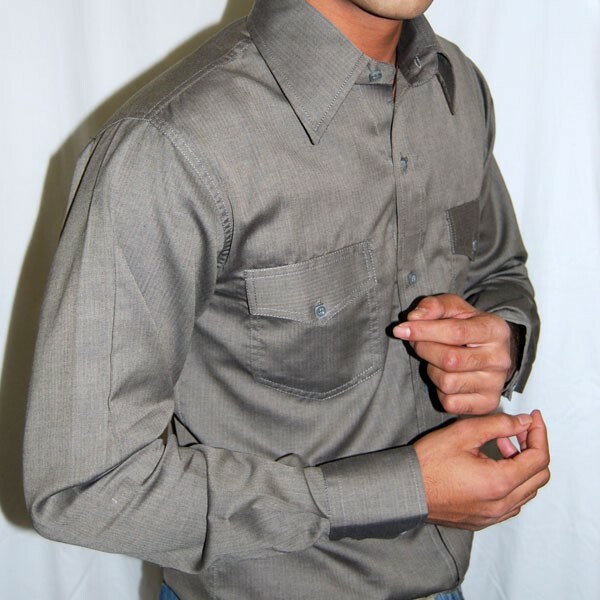 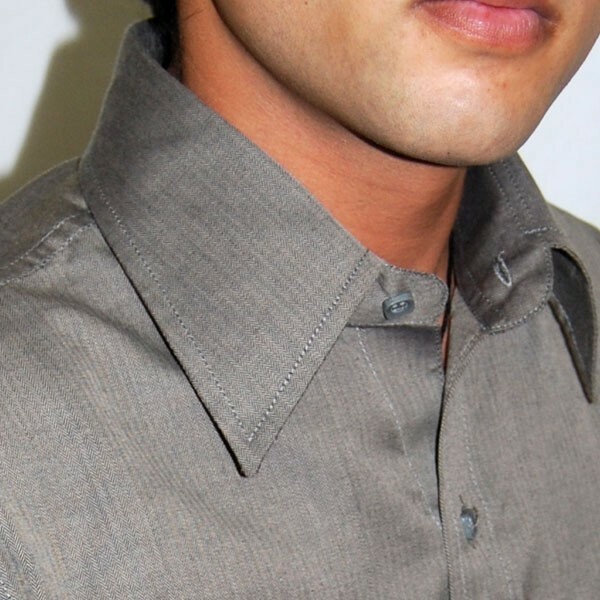 This pure cotton shirt is in shining saturn grey colored look for the royal touch. 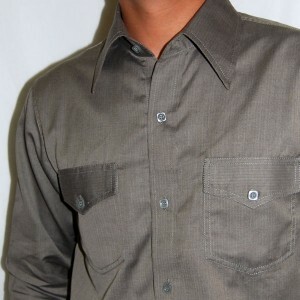 The shirt has a very fine lining of the same colored thread. 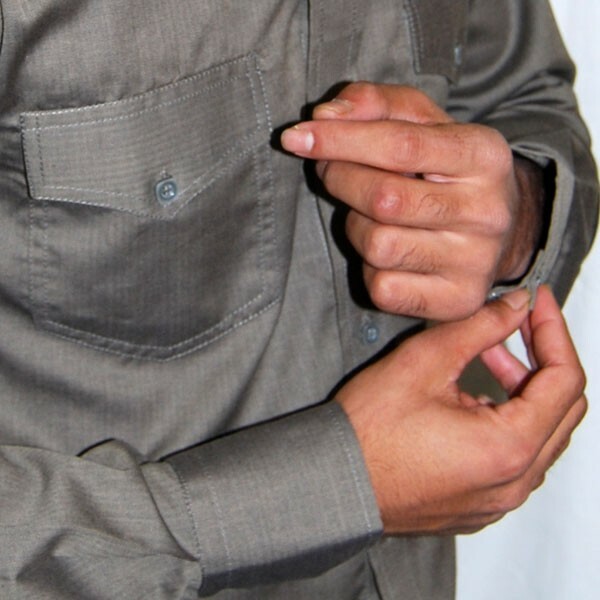 With stiff double cuffs, two flap front pockets, and designer collar, the shirt is an all rounder wear for evening wear, cocktail, or formal wear.